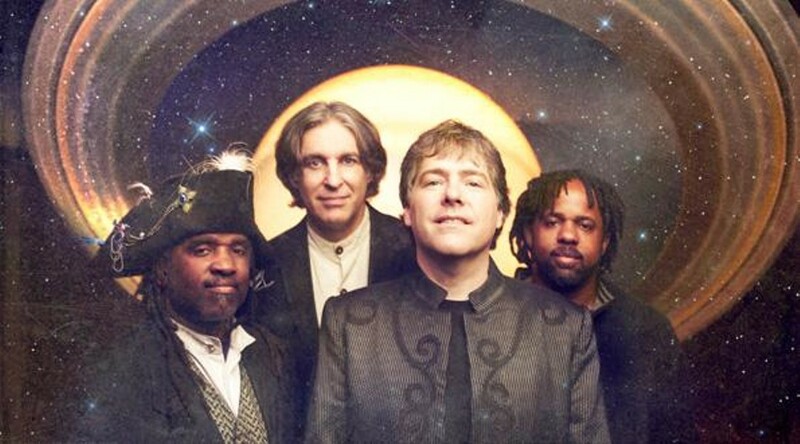 Since 1988, Bela Fleck and the Flecktones have been one of America’s most musically adventurous and consistently enjoyable instrumental bands. 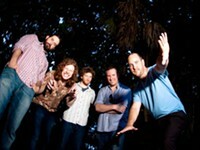 Fronted by the banjo–wielding Bela, the band incorporates elements of jazz, bop and fusion, bluegrass, African, Eastern and sundry bits, pieces and spots and slivers of this, and of that. These guys are virtuosi en extremis. The percussionist is Roy Wooten, an eccentric character who calls himself Futureman, brilliantly and funkily playing a customized synth–drum machine installed in the body of a guitar (he calls it the drumitar). On bass is the mighty Victor Wooten, younger brother of Roy and one of a handful of highly respected — and lauded — electric bassists in the modern world. Bass Player magazine named him “Bass Player of the Year” three times. 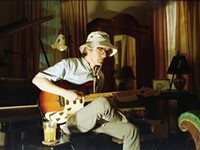 In 2011, Rolling Stone included him on its list of the Top Ten bassists of all time. After all this time, the Flecktones isn’t a full–time gig — each musician is free to pursue whatever project they fancy, with any and all collaborators, and the band only convenes when everyone’s schedule is free. Wooten and his wife operate a non–profit bass guitar camp on their 147–acre farm on Tennessee’s Duck River. It’s called Victor Wooten’s Center for Music and Nature. The five–time Grammy winner also has a custom label, Vix Records, and will release two new albums in May — one all instrumentals (funk, R&B and jazz), the other featuring the same songs cut with Wooten’s favorite female vocalists. The Flecktones’ Savannah Music Festival appearances comes very near the end of a year–long world tour that finds Fleck and the Wooten Brothers alongside Howard Levy, a founding member of the band who left after the third Flecktones album in 1992. Levy, like the other members of the band, is acclaimed as an innovator — he developed a fully chromatic style on the standard 10–hole diatonic harmonica — and he’s also proficient (and quite visionary) on piano, flute, ocarina and a half–dozen other instruments. We spoke with Wooten during a break in the tour; he was in Nashville putting the finishing touches on his new solo project. 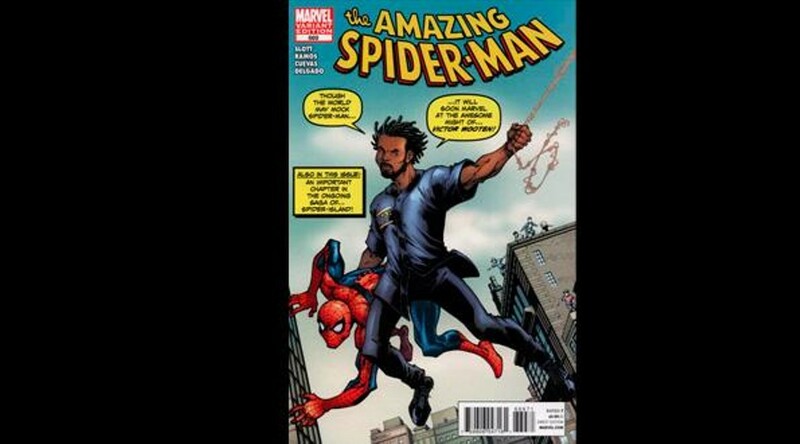 What’s the deal with that Spider–Man comic book on victorwooten.com? How’d you get on the cover? 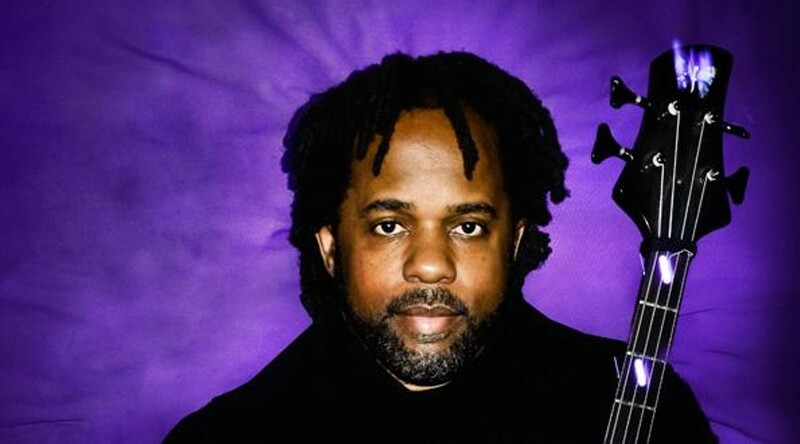 Victor Wooten: It’s an amazing thing for me, being a Spider–Man fan since I was a kid. The way it works is, Marvel Comics offered the comic book stores the chance to have whoever they wanted on the cover. But they make the stores do a bunch of stuff to make it happen. So most stores don’t even do it. A longtime friend of mine, her and her husband own a comic book store in Virginia. She knows how much I love Spider–Man, so she extended the offer to me. I said yeah, I’ll do it. One of the main things is that you have to buy a certain amount of copies; then I did a couple of things so that their store could make a little money also. You get them through my Web site. I did give the store in Virginia some, but they sold out of them very quickly. So, the Flecktones. What precipitated Howard’s return? Victor Wooten: One thing, we hadn’t recorded with Howard in 17 years. Another thing was that the sax player we had been using for the last 10 or 12 years, Jeff Coffin, took his place as the new sax player for the Dave Matthews Band. So in order to free him up, and to free us up from having to work out schedules all the time, it was like “Well, what do we want to do for our next project?” We’re always looking for a new angle, something new, and not only for the fans but to keep us inspired. Having been doing this band for 20 years. Howard had sat in with us somewhere – I can’t even remember – and having our little band meeting we said “Hey, what do you think about doing a record with Howard?” We all jumped on the idea. And we made it happen. He plays harmonica and keyboards. How does that change the dynamic for, of what the band had become with Jeff and other things? I mean, everybody’s grown a lot in 17 years. Victor Wooten: Absolutely, but it’s like coming home to a family reunion after you’ve been away for a while. Maybe you’ve grown up, you have your own family and kids – but when you come back, you’re still you. It’s still a family again. You talk about old things, but you catch up on new things, too. So you get the new and the old. And that’s the way it was with Howard. When he walked back in the door, it was just like old times. For us, it was nice coming back home again and seeing where everybody has been. And keeping in mind that three of us have been playing together in the same band all along. The thing is, it’s more the music than the instrumentation. It almost doesn’t matter what instrument a person plays at a certain point in time, a certain level, they’re just playing music. It’s like when you sit down to talk to someone — it’s not the tone of their voice that makes the conversation work or not. It’s what they have to say, and how they say it. And it’s the same with music. With you three and Howard, was the old telepathy still there? Could you get right back up on the bike and follow each other? Victor Wooten: Absolutely, no problem. But it’s because of the level of musicianship. It’s because of how well he plays his instrument, or moreso how we all play our instruments. I guess there is a touch of telepathy, but it really can be explained as how well everybody listens and responds. Because we all do it when we talk. It’s no different from what you and I are doing right now. And it’s because we understand the language so well that you can talk at this level with anyone for the first time without having to have rehearsed. So it’s a combination of listening, talking at the right time, but also how well you listen and how quickly you can respond to what you hear. And once you’ve been doing it for so long, for the people that don’t understand it, it comes across as telepathy. You, Roy and Bela have all been involved in different musical projects over the years. How does that inform what you bring to the Flecktones? Victor Wooten: The more we grow as musicians, we have more to offer the band when we come back together. So all the different things that we do, all the different avenues we get to go in, allow us to grow as musicians. A musician can’t help it. It’s like, if you go up north, you’re gonna talk different when you come back south. YOU might not even hear it as much as we do. And it’s like that. My wife and I just got back from Haiti. And not even so much the music that we heard, but the experiences that we had influences how I’m gonna talk when I play my instrument. How I’m gonna speak through my instrument, because it was so inspiring. So my bandmates, and even myself, might not know what it is, but they’ll hear a difference. Do you feel that way? That your instrument is your voice, a direct connection between your brain, your fingers and the amp? Victor Wooten: Absolutely, but so is everything. Everything is your voice! I learned for many years from a man named Tom Brown. Jr., who’s a naturalist. And he taught us how to look at the ground and read people’s tracks. You can see a person’s emotions in how they walk. Think about it – when you’re happier, you have a bounce to your step. When you’re sad you drag your feet. If you have to go to the bathroom, you might walk on your toes. The thing is, you can never hide yourself from someone who knows how to see. And music is so emotional anyway, everything you are shows up in your music.